Summer seems to be stretching on forever and as always, February is full of opportunities to get out, meet some new friends, support a good cause or just take in some art! Whatever you feel like doing this month, we’re sharing some events that will get you thinking about love, pride, communication and craft. We’ll see you there! Paint on those stripes, fluff up your feathers, and douse yourself in glitter to march through St Kilda in Melbourne's iconic parade of rainbows and pride. Victoria's annual queer march brings the LGBTQI+ community together to stand tall and be proud, to honour community members and most importantly, to revel in the celebrations with family, friends and allies. The march begins at 11am and will continue along to Catani Gardens for some post-parade celebrations, so make sure you bring your loved ones along to celebrate one of the biggest events of the calendar in Melbourne. You can find all the details on the Midsumma website. Corny though it may sound, February is aaaallll about the love. The Immigration Museum has taken inspo from their specially commissioned LOVE exhibition and are celebrating our vibrant queer community, artistic expression and love in all its guises at this special one off event. Hosted by the fabulous and funny First Nation’s Queen Zodiac, the evening will feature performance art duo The Huxley’s and a headline act from House of Slé, stars of the Australian voguing scene, plus a dj set from DJ HipHopHoe. This is shaping up to be an incredible night of art, so make sure you get all the info here. If you’re the kind of person who loves supporting local artists (and we suspect you might be!) 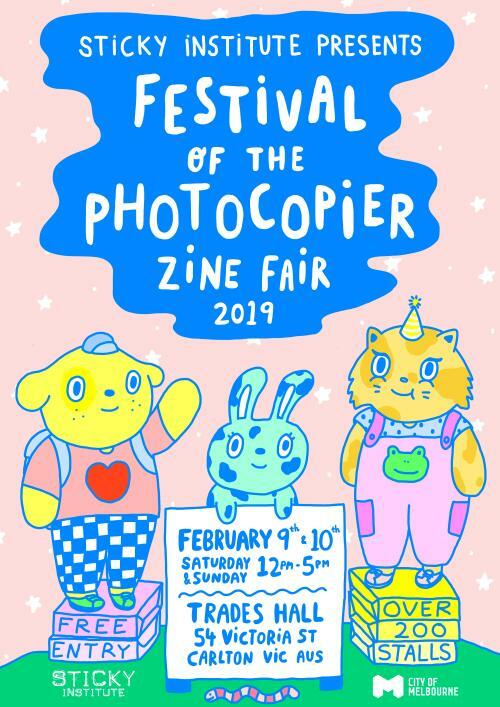 you have to make room in your schedule for the Sticky Institute’s annual Festival of the Photocopier Zine Fair! Every year this iconic event gives artists the chance to share their skills with a new audience, and gives us all the chance to celebrate DIY art in its many forms. So make sure you bring some cash to support local creatives, and get ready to fall in love with some new, eye-opening art. Find more info on the Sticky Institute website. RISE: Refugee Survivors and Ex-detainees is a group run by those with lived experiences of seeking asylum in Australia, and focuses on lobbying against our country’s cruel refugee policies. At this new initiative, they are promoting and asserting agency for refugee and writers of colour in Australia. At this first event, hosted by Magan Magan, writer and performance artist Manisha Anjali will share her work based in bringing ancient mysticism, eroticism and magic into contemporary spaces. This event will be held at the RISE Drop-In Centre with a donation entry, or streamed across RISE’s social media platforms. For more information, head here. This curated exhibition from Loving Feminist Literature is all about exploring the affects and effects around the curious, slippery and contested fields of activism, practice and politics associated with feminisms. 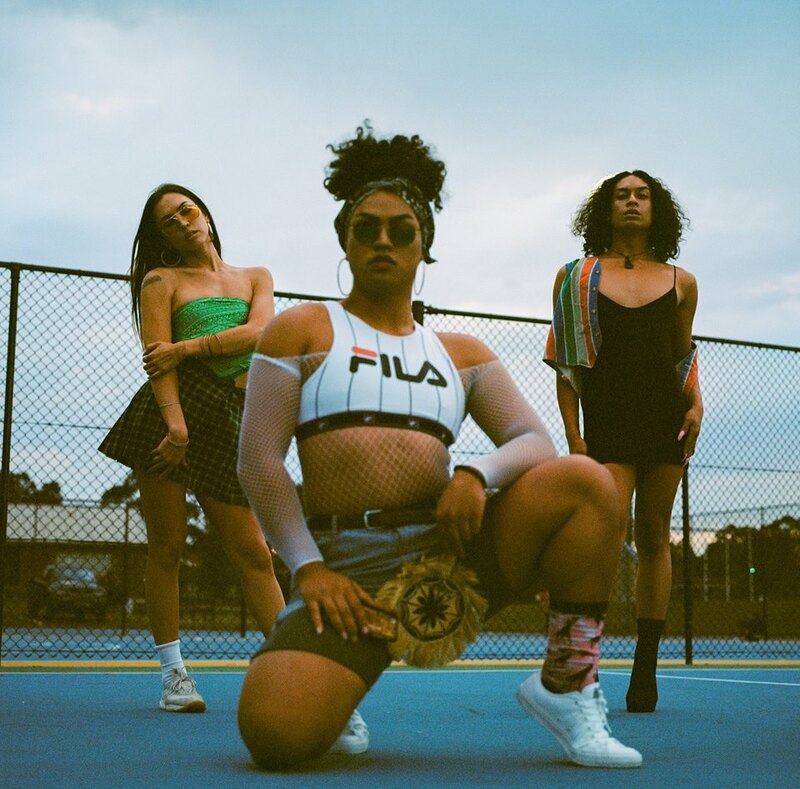 Taking place in Footscray’s Trocadero Gallery, the exhibition will also feature a number of events including feminist life drawing, socially engaged practices and to finish the program, a live performance to mark International Women’s Day. To find out more about the exhibition and program, check out the Facebook event.